So many sizes and so easy to make and fun to wear! Fully Lined Jumper/Dress and Fully Lined Play Suit for girls and boys. Play suit instructions include stitched legs or gripper closure. Heart and square pockets included. Detailed instructions and illustrations are included for quick and easy construction. More New Sizes Included! 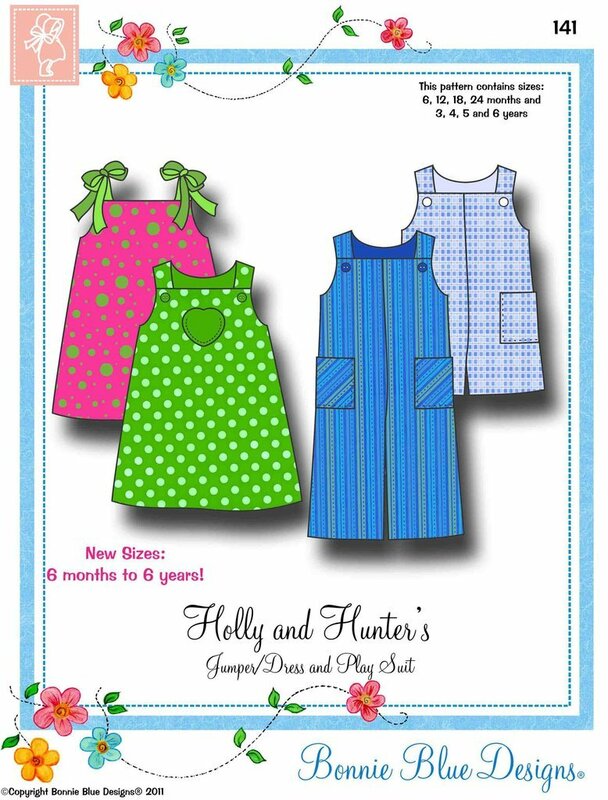 Size 6, 12, 18, 24 months, 3, 4, 5 and 6 years "Learn to Sew" information and instructions for the beginner included. "Piping How To’s" and "How to Make Piping" instructions included. Sizes 6, 12, 18, 24 months and 3, 4, 5 and 6 years in one package.